When Dr. Art Rahn embarked on a dental career, he realized that, in a sense, he’d been practicing his craft since childhood. 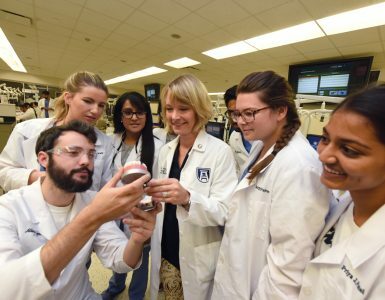 True, he was a novice at working on teeth when he enrolled in dental school, but he’d devoted years to practicing one of the cornerstones of the profession: working with one’s hands. Rahn grew up in a modest household in Wisconsin, and his family had only one car. This necessitated long waits for rides home after Rahn’s basketball practices, so he filled the time by observing a wood carver in the building. Soon, he was mastering the craft himself. 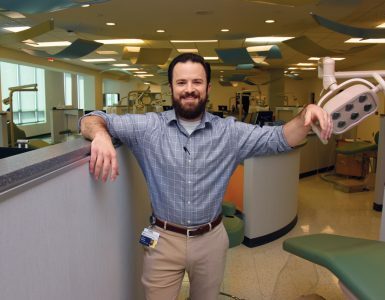 In choosing a career path, Rahn was delighted to learn about a field that would complement his creativity, artistry, tactile proficiency and attention to detail: dentistry. It was the most natural of fits. 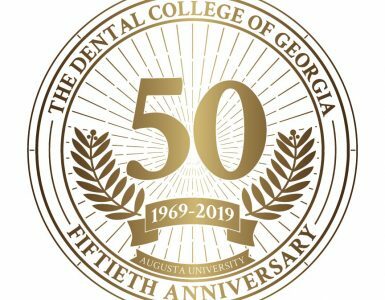 Rahn was serving on the University of Kentucky dental faculty in 1968 when he was recruited as an inaugural faculty member of a fledgling dental school: the Medical College of Georgia School of Dentistry (now The Dental College of Georgia). Now 83, he has been on the faculty ever since, noting that he has either directly taught or otherwise crossed paths with every student the DCG has ever enrolled. And he’s never set aside the hobby that ignited his dream. Rahn is always in the middle of a wood-carving project, creating animals, portraits and other pieces of art from the basswood he favors. One, a football player hurtling toward the goal line, attests to another passion: officiating football games, which he did statewide for decades. 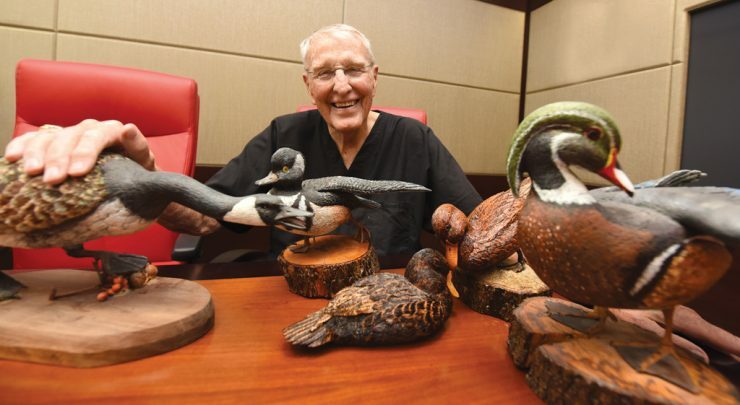 His home is filled with his artwork, as is Dean Carol Lefebvre’s office. Rahn moved a few years ago from a sprawling farm into a retirement community, so his space limitations demand a smaller scale than in the past. But his creations, the average of which is about six inches high, stand 10 feet tall in the eyes of his many admirers. Rahn is happy they elicit joy. “They bring back lots of good memories,” he says.